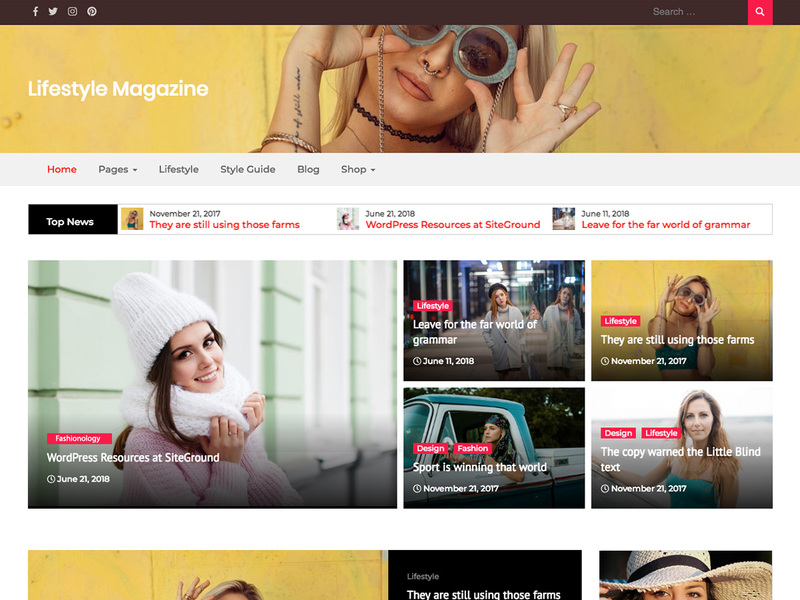 Lifestyle Magazine WordPress Theme is a premium WordPress theme made focusing on travel & tour operators. This theme is based on WP Travel Engine WordPress Plugin. This theme is very lightweight, easy to use, SEO friendly and customizable according to your necessity and desire. The theme is build in Bootstrap Framework. This is one of the best WordPress theme designed for travel blogging, trekking, lifestyle, agency, travel booking, tour operators, bloggers & blogging, bed and breakfast, hotel reservation, tourism, lifestyle, vacation, holidays, ticketing, adventure, small medium and large scale organisations etc.